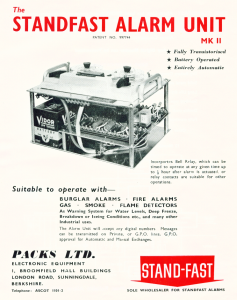 The MkII Alarm Autodialler from around 1963 advertised at the time at the "Standfast Alarm Unit". All the Alarm Messages were recorded and stored on the reel to reel tape on top. 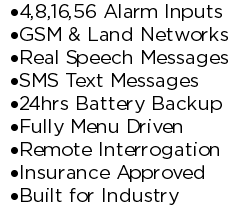 It was designed to connect to the G.P.O Public Land Telephone lines and designed to monitor.